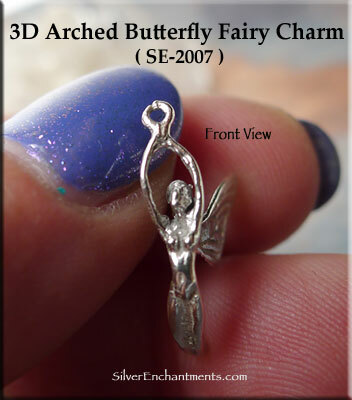 A very nicely detailed Sterling Silver Fairy Charm for your Fantasy Charm Bracelet, Beaded Earrings or to Wear as a Pendant on your Favorite Necklace Chain. 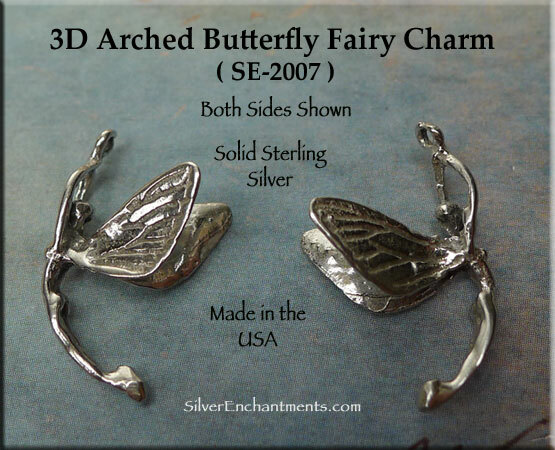 These Butterfly Fairy Charms are 3-Dimensional and are Hand Cast here in the USA in Solid .925 Sterling Silver by Lost Wax Casting Process. 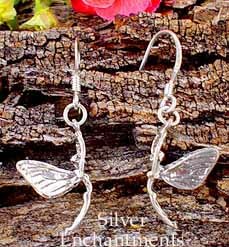 These Butterfly Fairies measure approximately 20mm tall x 11mm wide. Overall Size : 20mm x 11mm = ~3/4+" x 1/2"
Charm measurements do not include the length of any removable attachments. These will vary some, but a standard jump ring would add about 4mm (~1/8") onto the overall length. Belief in fairies is universal among almost all cultures. Scholars attribute fairies to the sirens of Homer, the nymphs of the Iliad, celestial singers in Sanscrit poetry, spirits of the Pacific Islands, and Hathor of ancient Egypt. In more recent folk culture, you will find leprechauns - wee folk of Ireland, the brownies of Britain and the kobold from the faerie realm of Germany. Fairies live in their own enchanted realm -- The pathway to Faeryland is the 7-pointed Fairy Star --but they also have been sighted among the flowers, woodlands, hills and streams - sometimes riding on their fairy steeds or flitting from flower to flower. When fairies gather together to sing and dance, you might find a fairy ring of toadstools / mushrooms after they have left. > You can Customize this item into a Fairy Necklace -- Choose from : Charm Only or on a Sterling Silver Necklace Chain (see last pic for current style). 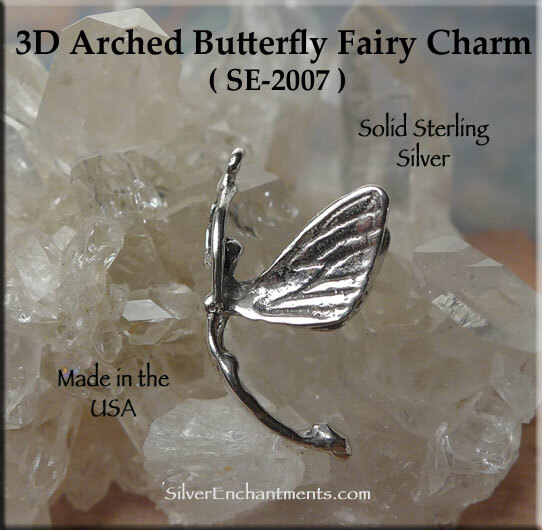 When selecting on a SS Chain, your Solid Sterling Silver Fairy Necklace will come Boxed. 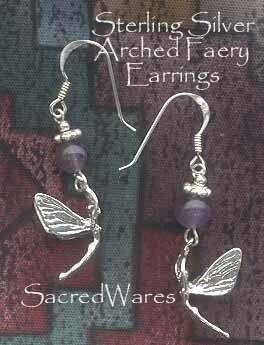 > This charm can also be converted into a Custom made Sterling Silver Fairy Earring. If you need a pair of them, order 2. 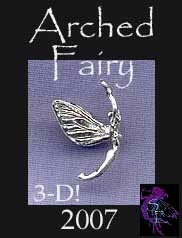 > This item can also be made into a Fairy Belly Ring | Navel Ring. 316L Stainless Steel - Banana Length : 3/8", 14-gauge. Gemmed ball : 8mm (color will vary) | Top Screw-on-off Ball : 5mm. Custom made Pierced Body Jewelry.